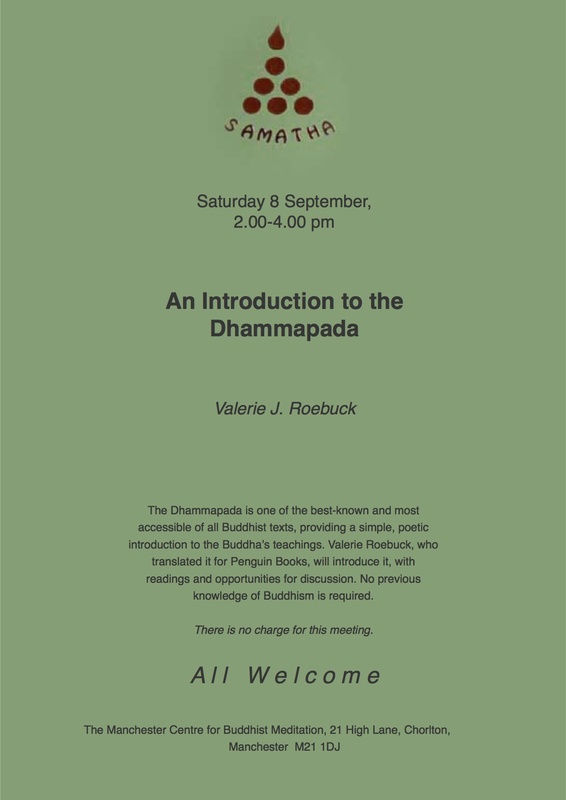 Valerie Roebuck will be giving a talk entitled An Introduction to the Dhammapada as part of the Summer Programme at the Manchester Centre for Buddhist Meditation. 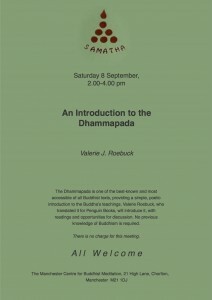 It will be open to all, and no previous knowledge of the text or of Buddhism is required. Valerie took part in the 2011 Manchester Buddhist Convention on Saturday June 11, which was hosted this year by the Triratna Buddhist Order and Community (formerly FWBO) at the Manchester Buddhist Centre, 16-20 Turner Street, Manchester M4 1DZ.